Episode 22: Interview with Cosmic Gate! 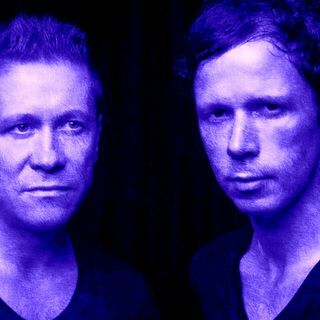 Initially known for producing hard trance, German duo Cosmic Gate gradually shifted to a more accessible progressive trance sound on their way to becoming one of the genre's most successful duos, selling out arenas and releasing dozens of club hits. Claus Terhoeven (born 1972) and Stefan Bossems (born 1967), both from the West German city of Krefeld, first met in 1997, but started collaborating the following year when they found themselves in the ... See More same studio by chance. Driving singles "The Drums" and "Mental Atmosphere" appeared on EMI in 1999, but the duo's breakthrough came when "Fire Wire" (initially the B-side of 2000's "Somewhere Over the Rainbow") was given a stand-alone release in 2001. The commanding track hit the U.K. Top Ten and was remixed numerous times. Parent album Rhythm & Drums appeared that year and reached number 30 on the German album charts. This was followed by 2002's No More Sleep, which spawned further hit singles such as "Back to Earth" and "The Wave." In 2003, the duo made the first of many appearances on DJ Magazine's Top 100 DJs poll. During the same year, the duo released the first volume of their Back 2 Back mix CD series. The second volume, released in 2005, marked the beginning of their long, fruitful relationship with Black Hole Recordings. By the time Cosmic Gate released their third full-length, 2006's Earth Mover, their sound had changed, moving away from hard trance and exploring a progressive style. Released in 2009, Sign of the Times continued Cosmic Gate's venture into progressive trance, with tracks sung by vocalists such as Emma Hewitt and Aruna. Back 2 the Future, a double CD containing remixes of older Cosmic Gate tracks, arrived in 2011, and that year also saw the release of the duo's fifth album, Wake Your Mind, which included one of their best-known songs, "Be Your Sound." The duo mixed the 2012 edition of Ministry of Sound's annual Trance Nation series. They founded Wake Your Mind Records in 2013 and initiated their weekly Wake Your Mind Radio podcast in April of 2014, issuing their sixth full-length, Start to Feel, shortly after. Two volumes of Wake Your Mind Sessions mix CDs appeared in 2015 and 2016, and the studio album Materia arrived in 2017, first as two separate digital chapters before being issued as a complete double CD.